SpeechAir PSP1200 combines the best of two worlds. At last, a TRULY flexible dictation device with the LOT, the Philips SpeechAir smart dictation recorder is Wi-Fi and Bluetooth enabled, has a camera and barcode scanning, large speaker, exceptional quality mics, slide switch just like your old dictaphone, a dictation app, gorilla glass and antimicrobial material for medical settings, and, wait for it, it’s all on an Android operating system. The future is here and now, and you can be a part of it – join the digital dictation revolution. Smart recording is here. 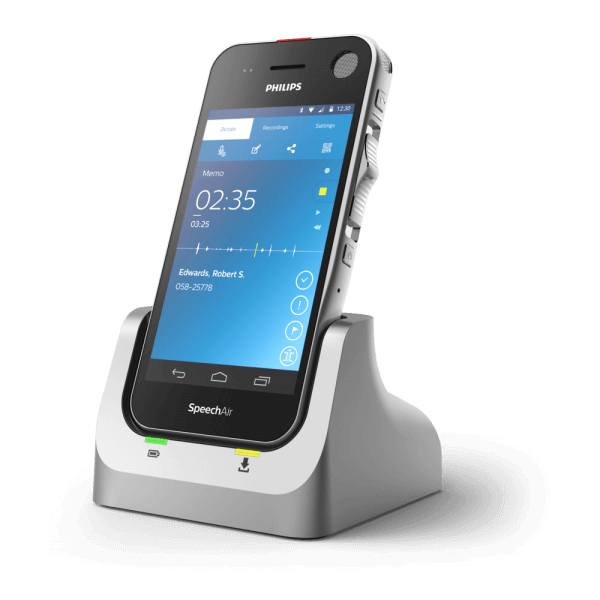 By using the Philips SpeechAir, saving time and resources will be at your fingertips, and you’ll work more flexibly than ever before. 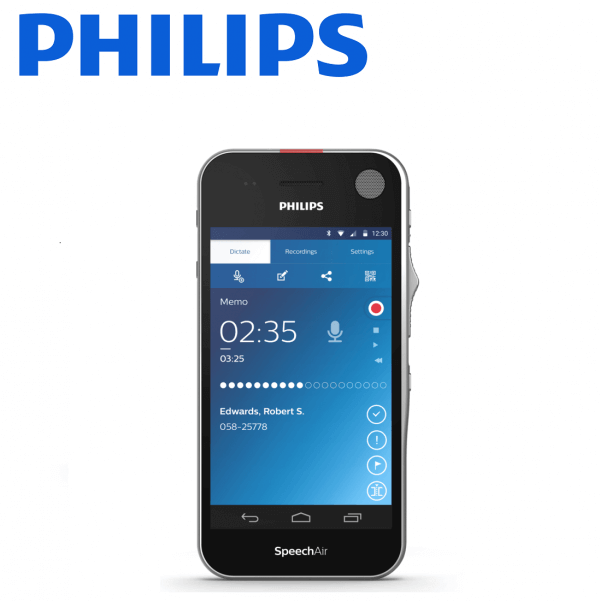 The Philips SpeechAir marriages perfectly a mobile phone’s flexibility with the best features ever developed for high quality dictating devices. 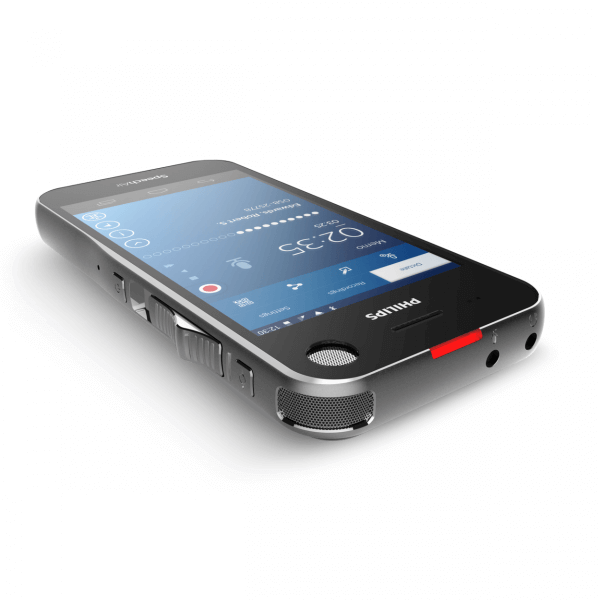 This device fits seamlessly into your everyday routine, letting you record and share your files from anywhere and at any time. Whether you record while in the office or on the road you can be secure in the knowledge that your recordings are safely sent off for transcription. 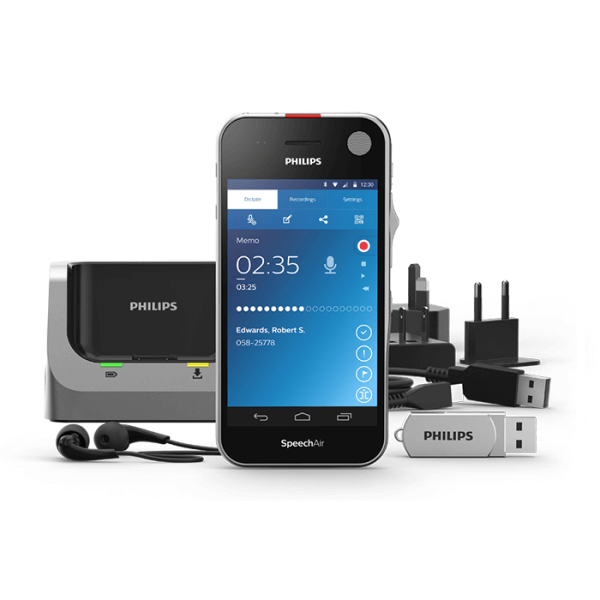 Introducing the Philips SpeechAir Smart Dictation Recorder, a truly flexible dictation device with the lot. View the Phillips SpeechAir leaflet here.